If you soak off your own soak-off manicure, maybe you want to use pure acetone instead of drugstore nail polish remover, which contains many more ingredients, including fragrance, for skin to dislike. Sorry for the less-than-perfect snapshot quality. That&apos;s the phone-photo I sent to Leeanne at Tips with a WTF-help! DM two days after a recent Axxium mani. 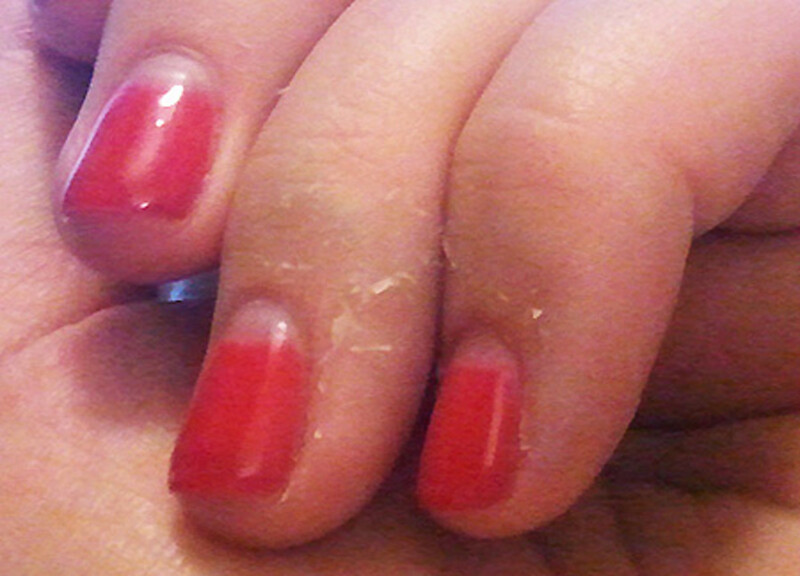 Leeanne had a WTF moment, too -- that&apos;s crazy peeling skin on my fingertips, and it&apos;s never happened before, not even since last March when I started with back-to-back soak-off gel manicures. If you know anything about soak-off manicures, you know one removal practice involves soaking fingertips in a bowl of acetone for about 15 or 20 minutes. That&apos;s what I do at Tips every three weeks or so. Could my soak-off session the day before this mani have been the culprit? Turns out that probably yes. I had done it myself. I used the foil method rather than the bowl dip, and a drugstore acetone nail polish remover. And two days later the skin on my fingers, where the soaked organic-cotton pads had been, started to peel. The photo above is from day three, when the peeling seemed to be at its worst. At the salon, Leeanne uses 100 per cent, straight-up acetone. The Life Brand Essentials Moisturizing Nail Polish Remover I used at home is supposed to be more gentle. The formula contains acetone, water, ethoxydiglycol, lanolin, parfum, panthenol, tocopheryl acetate, aloe barbadensis, benzophenone-3, CI 42053, CI 42090, and CI 19140. My skin could have reacted to a number of those other ingredients -- perhaps the fragrance or colourants (the last three). I&apos;ve never reacted to pure acetone. 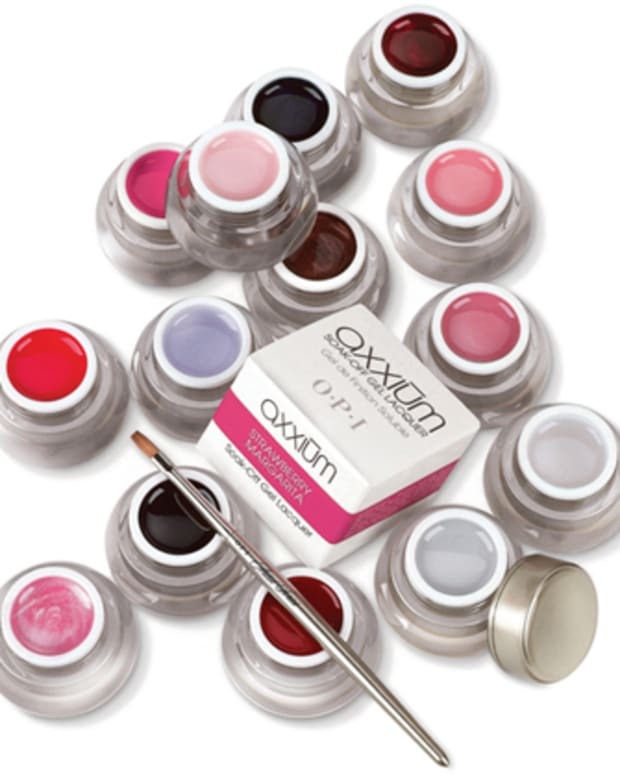 I had another Axxium mani soak-off session last week at the salon. My skin&apos;s experienced no dryness; in fact, everything&apos;s back to normal. If I were to do my own foil method again, I&apos;d add a layer of balm or moisturizer on my skin first, and then moisturize again afterward. And I should tell you that I&apos;ve used this Life Brand remover many times to take off regular polish and never had a problem, and that I&apos;ll probably still use it for regular polish removal. Leeanne Colley, Tips Nail Bar & Spa and Life Brand are all Canadian.